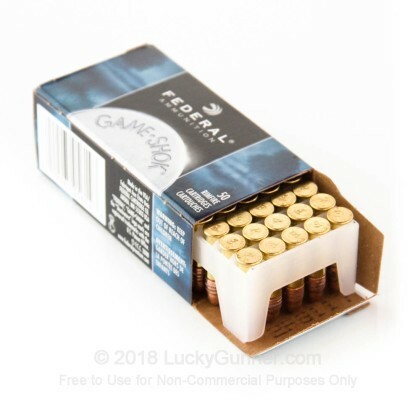 Federal's 710 line of Game-Shok 22 long rifle ammunition features a copper plated round nose design that has great ballistics properties. This ammo cycles semi-auto rifles smoothly and provides great on-target accuracy making it an excellent choice for game hunting or target practice. This ammo is manufactured in Minnesota by Federal and it is brass-cased, rimfire-primed, non-corrosive and non-reloadable. Shot 150 rounds off in Remington for Basic Rifle Class. Worked fine with not a lot of residue. 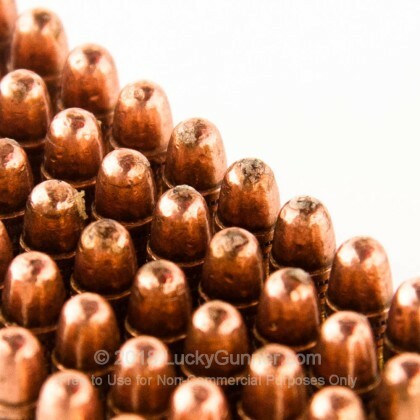 California many ranges requiring copper based ammo & even though not all copper, copper plated passes test. Shot off around 500 rounds. Not 1 jam, zero misfires and I don't believe they over stating the muzzle velocity. I definitely would not like to be shot with one of these! Pretty accurate too. feeds in ruger mk1. good ammo. The only thing I had an issue with was the price. That said, I know how hard it is to find 22LR ammo at the moment, so I cannot blame that on luckygunner. The fact that they even had it speaks volumes. Great website with a great selection! Shipping was quick and customer service was awesome! I will be using this vendor again in the future! This ammo is very reliable, unlike some other brands. It does a very nice job dispatching critters. 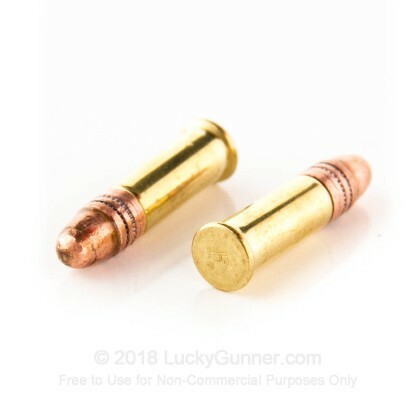 Like the copper coated round as if doesn't hang up in my Ruger MK 11 magazine or my 22 Marllin semi automatic like the full lead ones do. Cleaning the magazine helps to reduce that problem. Over all a great product, accurate. Lucky Gunner shipped them out and received them in good order very well packaged. When you see what is in stock it is there, no waiting to be notified when it is in stock. Great product and a great company to deal with. In time were ammo is in short supply, Lucky Gunner came through. Web site easy to use. You only see available product, so not disappointments. Fast prompt delivery, Tracked all the way. Excellent customer service follow-up after the delivery to ensure my satisfaction. 22lr can't be found within a 200 mile radius of my home. Because of hoarding, the cost is substantially higher than normal, but just being able to these more than makes up for the cost. Have had no misfires in any model used. The shopping at this place is outstanding!!! I love federal ammo. But this had a few jams when using it in a GSG-522. But i'm going to keep this short because my wife is cooking me bacon. The 22lr game shok works well. In my semi only certain ammo's works (thanks for that Walthers). It is a bit pricey, but not compared to other on-lines, and you can't find 22s in the stores. Short story is this is one of the few ammo's that work in my Walthers PPK/S 22. On an unrelated note, there are several types of 22lr I'd like to try, but can't find it anywhere. I have a Walther P22, as some of you may know, it can be picky when it comes to ammo. 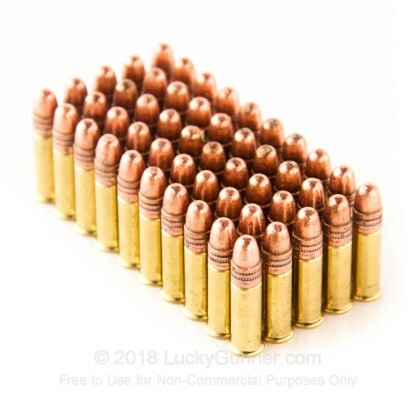 I put 100+ rounds of the 22 LR - 40 gr Copper Plated Round Nose (Solid) - Federal Game-Shok through my weapon with not a problem at all!! I love how Lucky Gunner lets you know exactly what rounds they have available, the prices are very good and the shipping speed was Amazing!! THANKS Lucky Gunner, you have a customer for life!! Very good shell for 22 LR at a time when none of the local shops was carrying any. No misffired. Great product. "No issues", that's all I want and what I got. Everything went the way it should. Great vendor! It arrived as expected, on time and as described. Already used this and it works perfectly. It is a great product for the price. I would highly recommend the product and Lucky Gunner. Went with 3 stars on value, not LG's fault since all ammo is elevated price-wise lately. Bought these and the Norma TAC-22 (haven't used those yet) to satisfy the hunger of my Black Widow (2") & Mini Master (4") five-shot revolvers. These seem to be more accurate than even the CCI, usually my perennial favorite for .22 caliber. As far as mis-fires, doesn't happen with the NAA guns due to rimfire reliability. All in all a very good choice for the .22 long rifle NAA's, have ordered 300 more rounds of GAME SHOK to continue the fun. Wasn't sure how it would perform but it did outstanding. No misfires and no jams. Placed a second order. loved my purchare of these 22's. I bought these recently they worked wonderfully. NO misfires, . 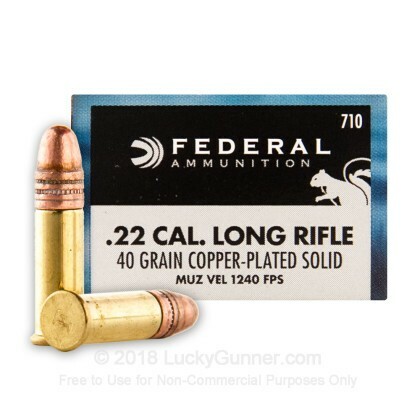 Very good Ammo.Works great in M&P 15-22 Performance center , and Ruger I, These guns do Not use all ammo, but Federal Game Shok CP RN works very well. A: No, the projectile itself is solid lead, and it is plated in copper. 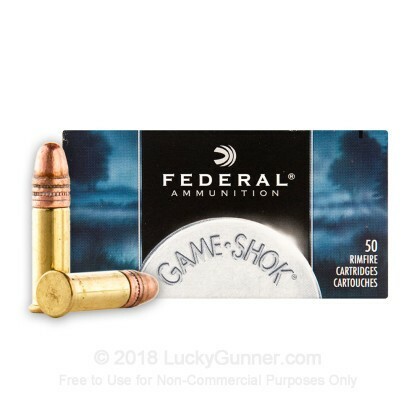 We also have this 22 LR - 40 Grain Copper Plated Round Nose (Solid) - Federal Game Shok - 500 Rounds ammo in stock in a bigger quantity.